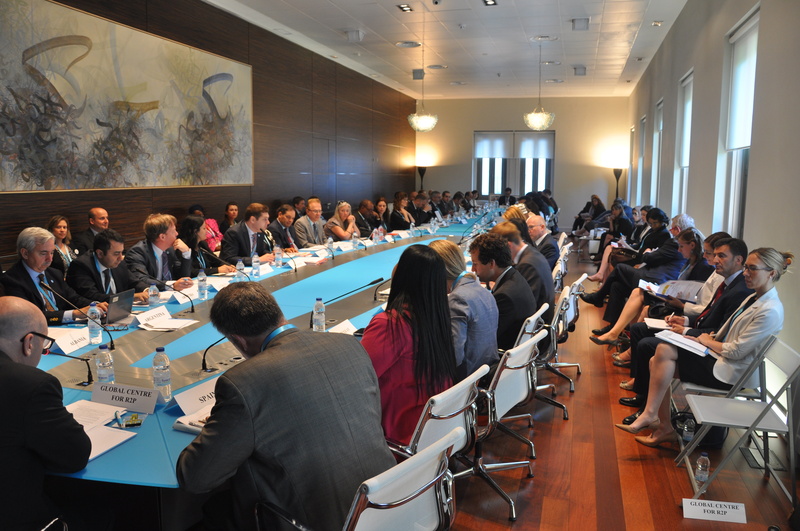 Representatives of more than 50 governments met in Madrid, Spain for the fifth annual meeting of the Global Network of R2P Focal Points on 23 and 24 June 2015. The meeting was co-hosted by the governments of Spain and Chile in cooperation the Global Centre for the Responsibility to Protect and The Stanley Foundation. The Secretary of State of Spain, H.E. Mr. Iganacio Ybañez, opened the meeting noting the imperative of using the 10th anniversary of R2P as a time to reflect on what the norm has achieved and what can be done to advance its implementation. This was the first meeting of the Global Network to be held in Europe. The meeting was attended by states from all parts of the world, including Asia and the Middle East and North Africa. It was noted that the Global Network of R2P Focal Points now includes 47 countries, with Portugal, Qatar and Sierra Leone being the newest additions. The Global Network had 41 members when it last met in Botswana during June 2014. The theme of the Madrid meeting was "10 Years of the Responsibility to Protect: Responding to New Challenges and Threats to Vulnerable Communities." During the meeting participants had an opportunity to reflect upon progress made in implementing R2P over the past ten years. Break-out sessions also addressed emerging challenges in preventing mass atrocities, particularly non-state armed groups and vulnerable minorities and women.